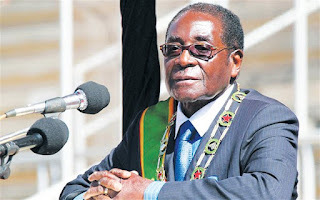 Zanu-PF Masvingo Province Youth League Chairperson Norbert Ndaarombe last week told Zaka youths who gathered at Jerera Community Hall for mobilisation of the 'one million men march' that this time youths were not going to campaign for MPs and councillors but for President Mugabe only. "This time we will campaign for the President only and the MPs will campaign for themselves. In 2008 we were used to do different things but when the youths were arrested, they just folded their arms and denied involvement so the only person watogona kusungirwa (for whom we are prepared to go to jail) is the President. "We can't afford to be used, kupinza munhu asingadzoki kuvanhu vakamupinza and after all akapiwa zvinhu kuti azotipa oba haachasvitsi (we cannot elect somebody who does not come back after they win and even if they are given things for us, they steal) so we will campaign for the President only," said Ndaarombe. He urged young people to avoid being used by politicians for small gifts and urged the provincial as well as district leadership to go into wards and listen to people's concerns. "Musashandiswa nevanhu muchipiwa doro, (avoid being used for beer)," he said. Ndaarombe said the youth had already started campaigning for President Mugabe for the 2018 elections saying the President was the only centre of power that must be supported.